The second day of action in the World Singles Championship unfolded today, with three matches down for decision where the seeded players out pointed the qualifiers in all of the exchanges to move through to the 2nd Round. This morning Exeter’s Jamie Chestney seeded 8 got the better of Falcon’s James Rippey 10-4, 10-4, in a match that was a lot closer than the scoreline suggests. 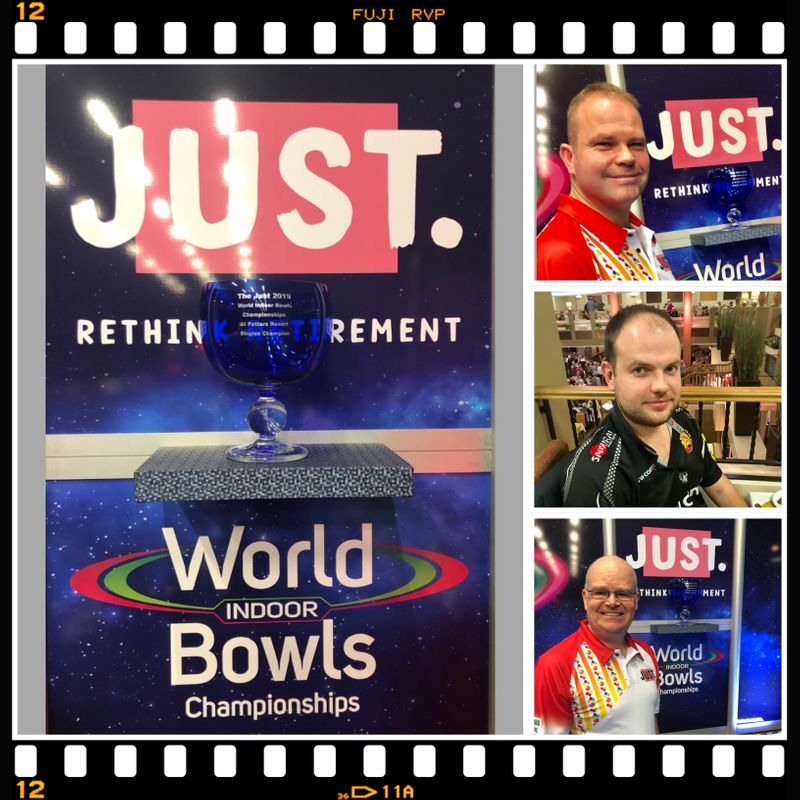 In the second match of the day, five time champion Paul Foster was made to work hard for his narrow victory with sixteen singles scored over the best of two sets of nine ends match. In the first set, a double on the last end gave him an early advantage at 6-4 but in the second set his Welsh opponent, 29 year old Cardiff civil servant Damian Doubler, only dropped two ends to win 8-2 and square the match at one set all. The tie breaker also had to go to a third end with the Troon based Foster scoring on the last end of the winner take all confrontation 2-1. Foster’s opponent in Round 2 on Tuesday 22nd January will be Les Gillett and will be a repeat of their Scottish International Open head to head at Perth from November last year which went the Scots way. Gillett seeded 12 held off a late challenge from English qualifier Paul Coleman in the first set to win 7-5 and in the second he pressed home that advantage, dropping only one end and winning 9-1 with two ends to spare.